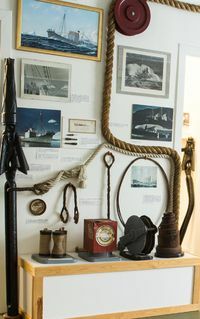 Named after a former Governor of the Falkland Islands who regulated the whaling industry, the Allardyce Room houses our collection of objects relating to the heyday of the whaling industry on South Georgia. 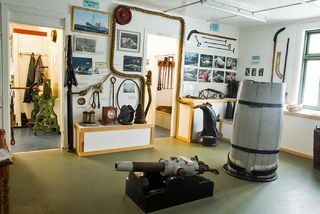 We have everything from the look-out barrel of a whale catching ship, to the blades used to cut up the whales on the flensing plan, to the products from whales such as meal and oil. 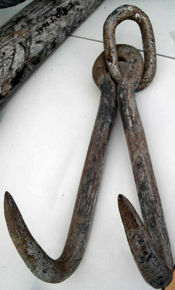 The displays are accompanied by vivid images of the the bloody processing of whale carcasses. This page was last modified 18:50, 13 September 2016. This page has been accessed 53,668 times.